On Feb 1st, we had two wonderful guests. One of them was a German. We were surprised at she could speak Japanese so fluently. The knowledge of tatami crafts man increased the their understanding and appreciation of process of making mats. 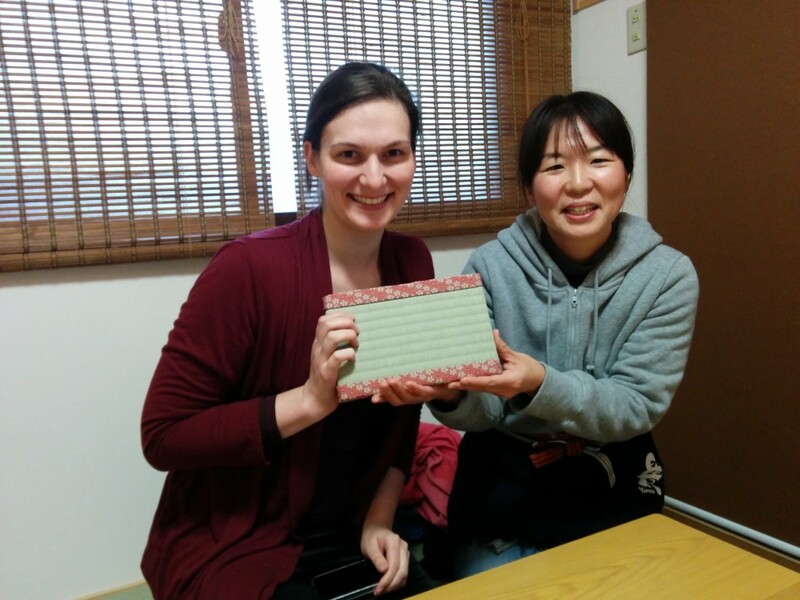 They both made beautiful mini tatami mats. We all really had a great time during process! Thank you for coming!